The World Heart Day has just passed and many of you might have read media articles on how to take care of your heart. Did you get stressed wondering if your heart is healthy or not? Don't worry too much because emotional stress is one of the risk factors for heart disease. Much research has pointed in this direction. Emotional stress is not at all bad. The physiological changes that take place in the body during emotional stress lead you to a "flight or fight" situation. That is, either you physically run away from the situation or physically fight your opponent. But in modern times, neither of the two is possible due to circumstances. 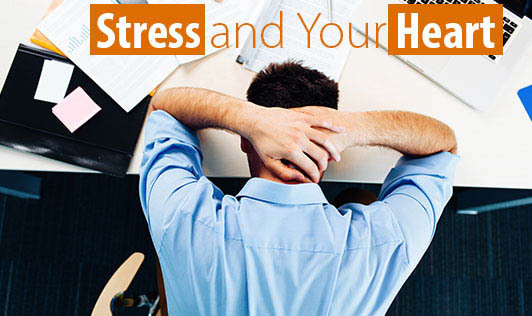 When stress occurs repeatedly and cannot be handled appropriately, it can increase the risk of heart disease. Different people react differently to stress. Type 'A' personalities handle stress differently and are more prone to heart disease risk than type 'B' personalities. It's almost impossible to avoid stress but we need to learn to deal with stressful situations. Use any of the relaxation techniques to combat stress - yoga, deep breathing, meditation, massage, or brisk walking.